One Thousand and One Nights was one of the most influential stories ever told, and has inspired a number of past and modern day cinema releases. Arabian Nights, as it is more commonly known, was the inspiration behind many different cinematic pieces across the world. Most famously known are The Thief of Baghdad and Il fiore delle mille e una notte. There have also been several animated versions of the story such as 1001 Arabian Nights featuring Mr Magoo, as well as the Japanese version One Thousand and One Arabian Nights. One Thousand and One Nights has had a strong influence on Japanese film, being the first piece of English literature translated to the language during the Meji era. With a few notable releases from the country's film industry, most famous was possibly Magi: The Labyrinth of Magic, a manga film which was then adapted to an anime series. Arabian inspired cinema continues to be a popular choice for filmmakers. TNT series Leverage sees the Hacker perform a violin solo in a live performance of Scheherazade (music from the original score of One Thousand and One Nights) in order to successfully carry out a robbery. Whilst Japan have just released another animated film inspired by Arabian Nights. The film is called Sinbad: Sora Tobu Hime to Himitsu no Shima and was released back in July. The animated family adventure film was released in theatres and is now available to watch online. The recent miniseries Arabian Nights was incredibly well received after being shown on ABC in the US and the BBC in the UK. There have also been other adaptions such as the French film Les 1001 nuits starring Catherine Zeta-Jones and a huge range of Bollywood versions. 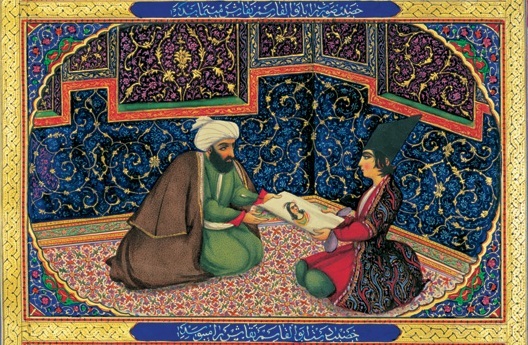 In addition to films, Arabian Nights has had an impact on other forms of entertainment – mainly TV, games, books and even opera. There have been references to the story in Bugs Bunny cartoons and science fiction series Planet B. Disney’s famous animated film Aladdin was based on the One Thousand and One Nights, and inspired several sequel films as well as a TV series and video game. Aladdin isn't the only Arabian Nights themed video game. There was also the 1994 Commodore 64 release named Tales of the Arabian Nights – a game that many remember as surprisingly difficult to finish successfully despite its deceptively simple graphics. More recently, the theme has transferred to one of the most recent forms of gaming, online casinos. Mr Smith Casino offers an Arabian Nights-themed video slot which attracts audiences with its classic Arabian Nights imagery and atmosphere, while at the same time offering traditionally simple slot gaming. Tales of the Arabian Nights, on the other hand, is a popular family board game, with manufacturer Z-Man Games re-releasing the game due to high demand. There have also been several One Thousand And One Nights themed operas such as; La Noche de las Noches and Aladdin Suite. Furthermore, the story has even inspired books like Stephen King's Misery which references Scheherazade and Midnight's Children. The influence of Arabian Nights on both modern and past entertainment is clearly visible, and its many variations will certainly continue to inspire filmmakers, artists and musicians alike.